Our website provides the agent, manager, and publicist contact details for Erykah Badu. Whether you are looking to get in touch with Erykah Badu's agent for an event, or Erykah Badu management for an endorsement, we can provide you the best and most accurate contacts. If you have any questions on how to use our service, you can contact: support@bookingagentinfo.com. Book Erykah Badu. Erykah Badu email, contact Erykah Badu management, Erykah Badu manager for business, bookings, pricing, hire. 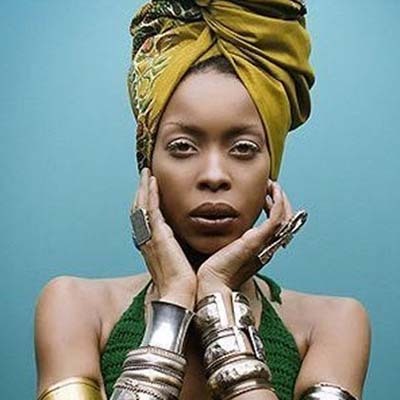 Singer and songwriter Erykah Badu was born Erica Abi Wright on February 26, 1971, in Dallas, Texas. After graduating from college, she recorded her first demo entitled Country Cousins with her own cousin Robert Bradford. This demo quickly led to her recording a song with singer D’Angelo, titled “Your Precious Love”. In 1997, Erykah Badu released her debut album Baduizm, which went to #1 on the Billboard Top R&B/Hip-Hop Albums chart and was eventually certified triple Platinum. Later that year, she released a live album, titled Live, which was her second #1 album on the Billboard Top R&B/Hip-Hop Albums chart. Mama’s Gun, her second studio album, was released in 2000 and won the singer a Grammy Award. Erykah Badu would go on to release the albums Worldwide Underground in 2003, New Amerykah Part One (4th World War) in 2008, and New Amerykah Part Two (Return of the Ankh) in 2010. She has won a total of four Grammy Awards in her career, including Best Female R&B Vocal Performance for her 1998 song “On & On”. She is widely known for being the “queen of neo-soul”, a musical movement that began in the mid 1990s. How can I book Erykah Badu? You can hire and book Erykah Badu by contacting the official agent of Erykah Badu. Erykah Badu agent will be able to provide you with availability and pricing. You can get the contact details for Erykah Badu agent in our database. You will want to get in touch with the press team of Erykah Badu. Contact Erykah Badu’s publicist to inquire about any media inquiries. You can get the contact details for Erykah Badu press team at Booking Agent Info. How can I contact Erykah Badu management? The contact details for Erykah Badu management can be found here at Booking Agent Info. You can get access to all of Erykah Badu contacts by signing up and becoming a member. What is the Erykah Badu booking fee? You can get the fee to book Erykah Badu for an event, endorsement, or any type of business engagement through Erykah Badu's agent. Booking Agent Info provides booking price estimates, but you would contact the agent to get official pricing. ..with the contact information for Erykah Badu agent, manager, and publicist. Our site is meant to assist you in finding how much does it cost to book Erykah Badu for an event, and how to book Erykah Badu. Our database can be used to assist you in getting Erykah Badu endorsements, interviewing Erykah Badu, or to hire Erykah Badu for an event.